This swanky yet inviting interior by builder Heksu makes me want to pour an appletini, put on a classic movie and chill. 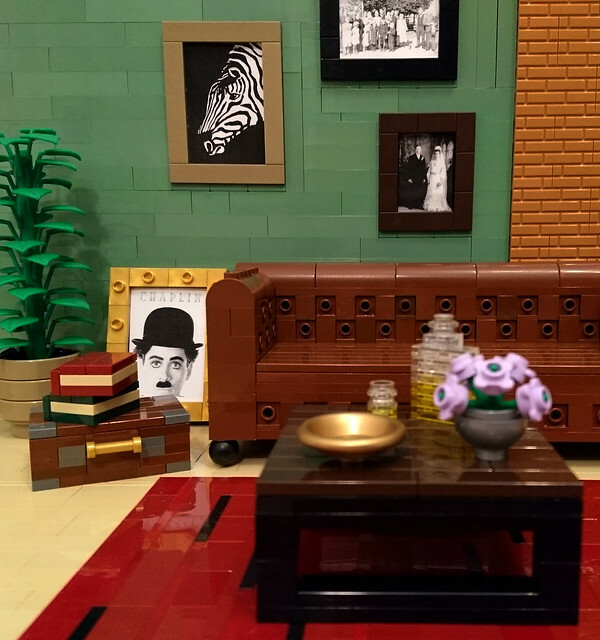 The color selection and texturing really implies the couch is made of leather, but my favorite detail is the pictures, which are all printed and framed. The books on the trunk are a nice homey detail too.